Going to the grocery store can be an overwhelming task, especially when going in unprepared. 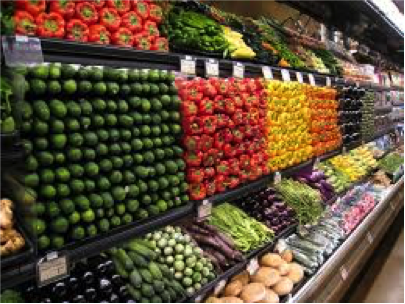 When you are in the store remember that the outside edges of the grocery store usually contain the least processed foods including vegetables, fruits, meats, and diary. Frozen veggies are also a great option because freezing locks in their nutrients. Local Farmer’s Markets are also a great option because they always have produce that is in season. At the grocery store, produce that is in season will be cheaper! One important thing to remember is to not go to the grocery store hungry. This can take some planning ahead, but when you shop hungry you are more likely to splurge on foods that are not the best choices. When we are hungry the body most often craves carbohydrates, such as foods with many added sugars because the body recognizes these foods as a quick source of energy. Splurging on any food can be detrimental to your budget! While you are eating your snack before going to the grocery store it is a great idea to look through the store’s sale flyer. Targeting items on sale can save money, so instead of creating a shopping list around certain recipes, choose your recipes according to the foods currently on sale! Making a grocery list is crucial to keep you on track while shopping. Sticking to your list can help you avoid splurging and purchasing unnecessary items. While at the grocery store it is important to look at the unit prices of foods. Different foods come in different amounts per package, so looking at the unit price allows you to compare unit per unit instead of the price of the already packaged amounts that may vary. While shopping for the healthiest foods is a crucial part, saving money is also very important, especially since healthy foods can be more expensive. 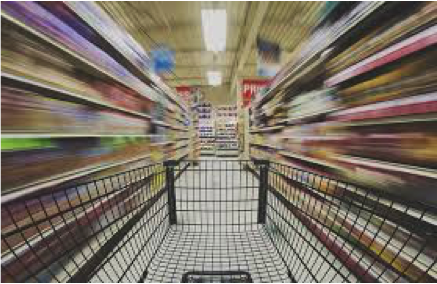 I see grocery shopping as an art that takes time mastering. 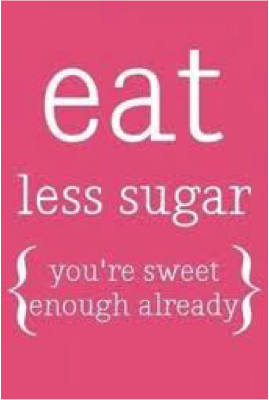 I know I struggle balancing a budget while looking for the healthiest options. It takes time, but in the end it is worth it!